You look at the contents of my “underwear drawer” and then nominate me for awards? Cool. I was nominated for a few awards and since I am new to this whole realm I needed to get my bearings before I passed them on. Thank you for being patient if you nominated me. It really is an honor to know someone was reading your blog and took the time to share. 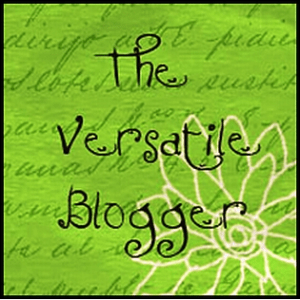 I was nominated for the Versatile Blogger Award by three bloggers (I still cannot believe three people are reading my thoughts.) Thinking, again, about how this whole experience feels like dumping my underwear in the middle of the floor at a dinner party. What am I doing? I don’t even know how to use a comma. Thanks for reading and nominating and commenting and there must be something wrong with you…I like it. 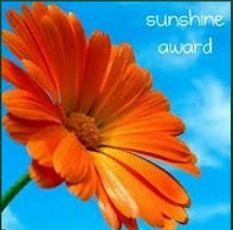 I have to say a special thank you to Stacy Dymalski at From Nonsense to Momsense for giving me word of encouragement and my first award nomination. 2. I know how to use a blowtorch. 3. I enjoy reading two books to my children repetitively when they are young. They even let me do them in the crazy voices and never complain. 4. I enjoy digging in the dirt and planting things far more than a glass of wine. I enjoy gardening even more with music and my boys running around me. 6. I am not a germ freak but I cannot stand in a tile shower without flip flops on. 7. Sponge Bob and Nicki Minaj make my ears feel like someone is pouring acid in them. I haven’t read a ton of blogs but I am trying to see what is out there. I am fearful it will change how I write my stories that I want to give my kids one day. The whole reason I started writing was so that they would know who I was at this moment and how I interpreted our family. It’s a legal thing in case they decide to sue me when they grow up (and because my own mom died at 39 before she had a chance for me to know who she was. Now that I am her age I think often how she really was just doing the best she could with her circumstances. I am still pissed at her though.) I am already planning to counter sue my boys for refusing to exit my uterus thus destroying my belly button and turning it into a cup holder. You all may get subpoenaed. I’m kidding. I’m kidding. I’m kidding. And a Liebster Blog award from Chris Hall. Thank you so much Chris! This award is for newbies with a small number of followers to help spread the word about their new blog. I will share a brand new blog that I enjoy but already has had way more hits that I have. Lucky girl with being “Freshly Pressed” on her first post! Oh, and I know I am doing the links and trackbacks and all the other technical stuff wrong. I will eventually figure this all out. Thanks for being patient. Thanks for the shout out! I like your style already. You can handle a blow torch and do the hula. And this: “I am already planning to counter sue my boys for refusing to exit my uterus thus destroying my belly button and turning it into a cup holder.” Too much. I look forward to reading more! Man… you beat me to it. I norminated you too! No, I love you! No, I love you…someone has to stop this! Ha ha! Thanks. I really is sweet to have people enjoying this. I saved my husbands family reunion with my mad blowtorch skill. They were having BBQ rotisserie issues. My poor, poor husband. You have to be very secure in your masculinity to be married to me and my ability to hook a log chain up to my Suburban and pull out the landscaping before you get home. The neighbor told on me to him for me being in a tree with a chainsaw, pregnant. He just shakes his head and says, “you think I can stop her?” Thanks for coming by. Dude, you have like a billion readers so I am completely honored. I do have a post in my head that I will let you know when I do it. I think you will appreciate some pictures I have snapped. There is NOTHING more sacred than the contents of a woman’s underwear drawer. Congrats! I love reading about your famlee. I know! I have a funny story about my underwear drawer I will share eventually. So embarrassing! Thanks for coming by! Thanks for coming by and taking the time to comment. There is so much out there that is fun to read. Awwww…Thanks. It has been fun! Thanks for giving me encouragement!